Mum of Five Staying Sane: NEW Pink Lining prints for the Autumn Winter 2014 collection. Birdcage, Cream bows on red and Hydrangea arrive to grace the fabric of various Pink Lining bags and accessories. NEW Pink Lining prints for the Autumn Winter 2014 collection. Birdcage, Cream bows on red and Hydrangea arrive to grace the fabric of various Pink Lining bags and accessories. The eagerly awaited NEW Pink Lining prints are here! There are three new prints to choose from called Hydrangea, Cream bows on red and Birdcage. 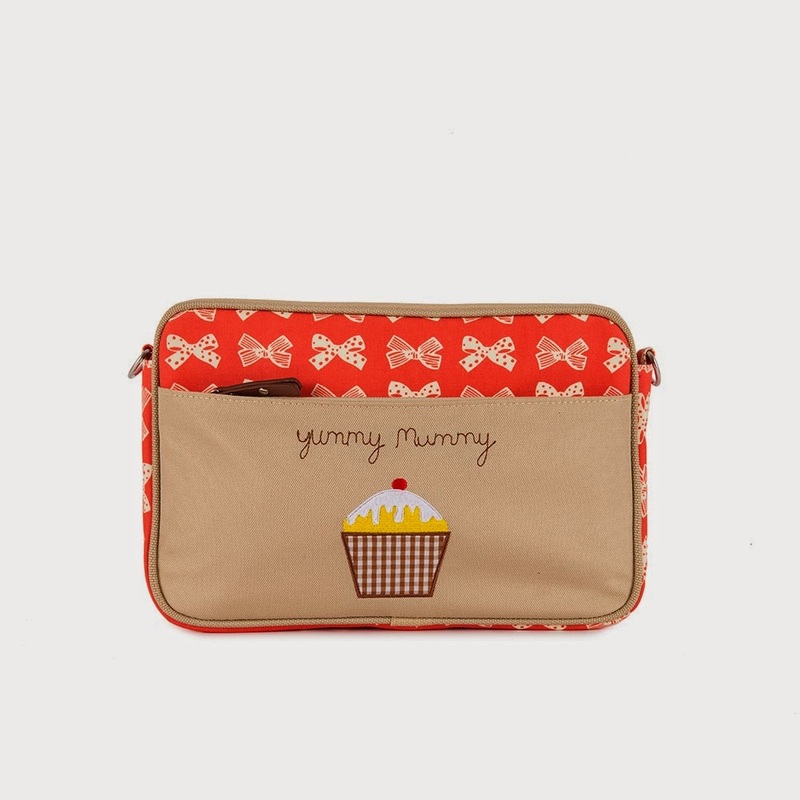 The prints are available across most of the styles of bags including the Yummy Mummy as well as the mini Yummy Mummy plus the Twin Bag, Mama et Bebe messenger bag and more. Birdcage design is a cream background with blue birds and birdcages with a yellow and pink floral pattern repeated over the whole bag. It is very vibrant and a pattern that really stands out. The turquoise bluey colour of the birdcages and birds is lovely. Cream bows on red is another twist on a classic. I have the navy bows a few years back and it still remains a firm favourite of mine. The red is very vibrant too with the subtle cream bows all over it makes for a very eye catching bag. Hydrangea is a lovely bluey green colour on the background, not overly bright but gorgeous enough to make the pink flowers pop out from the fabric. 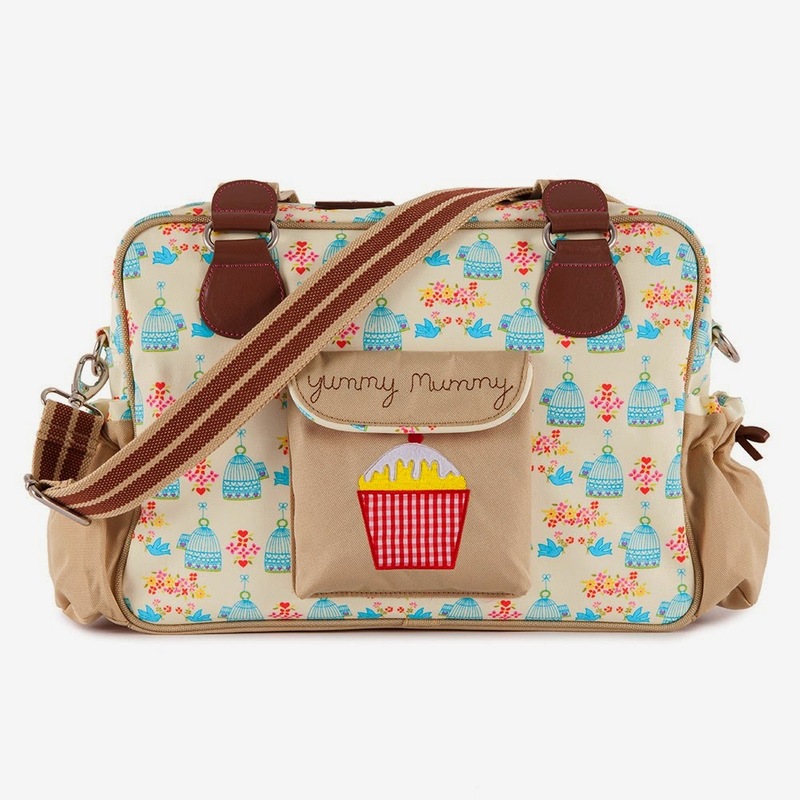 With a lush purple colouring to the shoulder strap and to the cupcake on the Yummy Mummy bag, this is another gorgeous design too. 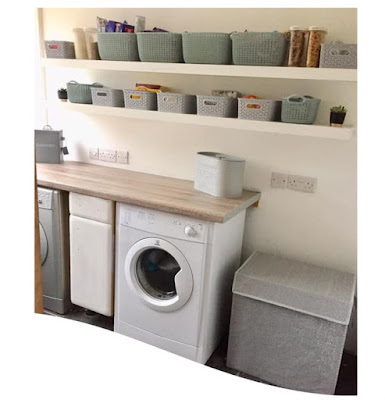 Prices range from £15 for the bottle holder, £25 for the wallets right up to £85 for the Twin bag with prices varying in between for the other styles of bags. These bags are well worth the price and with other designs available across their range such as Pink Flamingo, In the Mews and Wise Owl as well as the gorgeous Grape Bows and other prints there is so many bags to choose from with both style and print combinations. 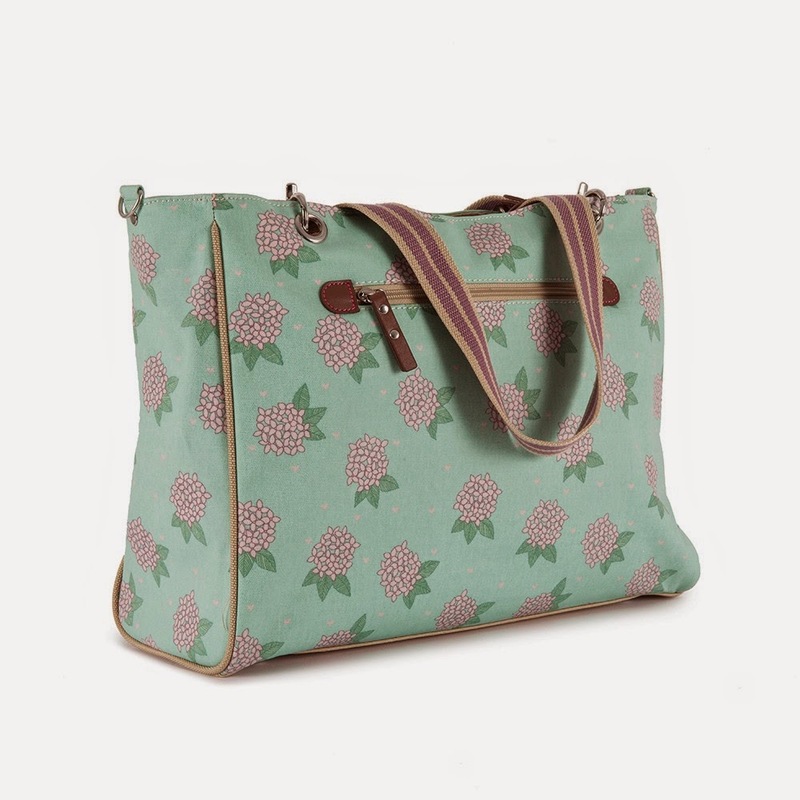 Visit Pink Lining here to view the full range, the bags are also available from other Pink Lining stockists.